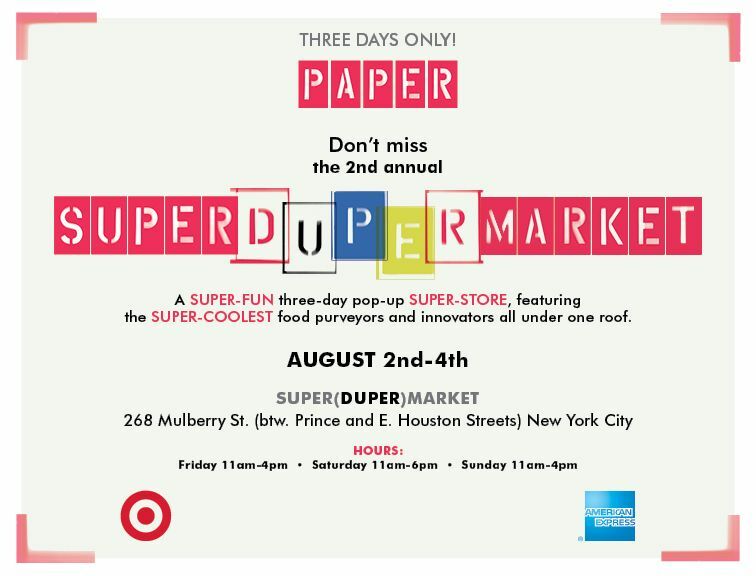 You're Invited to the 2nd Annual Super(Duper) Market! Last year's Super(Duper)Market. Photo by Atisha Paulson. 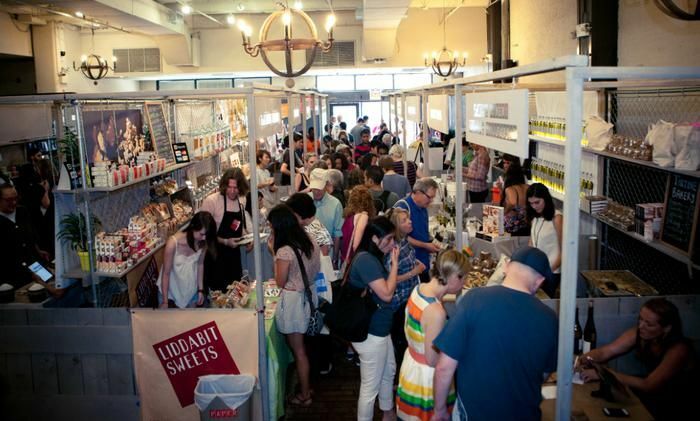 After its super-successful debut last year, the annual Super(Duper)Market is back and ready to celebrate the best artisanal food-makers from across the country. The three-day pop-up super-store will feature some of PAPER's favorite East Coast, West Coast and between-coast food vendors selling their super-delicious products. Expect to leave with a lot of locally-sourced, handmade goodies and a full belly. The Super(Duper)Market is located at 268 Mulberry St. (btw. Prince and E. Houston Streets) and will be open Friday, August 2nd, 11 a.m. to 4 p.m.; Saturday, August 3rd, 11 a.m. to 6 p.m.; and Sunday, August 4th, 11 a.m. to 4 p.m. Cash and credit cards are accepted. Featuring high-quality and delicious food products from their Archer Farms collection, Target's "Dish You Were Here!" booth will offer recipe cards for whipping up dishes from around the world, including Mango Curry Shrimp Pizza, Chipotle Gazpacho and Spiced Mexican Brownies, among other globe-trotting treats. Target will also provide unique complimentary snacks inspired by the foods of Korea, India, Spain, France, Mexico and Morocco. In celebration of The Blue Cash PreferredÂ® Card and Blue Cash EverydayÂ® Card, American Express will host an exclusive TwEAT Dinner in honor of foodies, fans and friends of American Express at the Super(Duper)Market on Friday, August 2. Consumers can follow @AmericanExpress for an opportunity to tweet for a seat at the social supper on July 30! The Blue Cash PreferredÂ® Card and Blue Cash EverydayÂ® Card from American Express allow Cardmembers to earn cash back in the form of Reward Dollars.